Approaching its 200th birthday, the University of Virginia’s Rotunda has received a Silver LEED certification following an extensive renovation. LEED stands for Leadership in Energy and Environmental Design, a certification developed by the U.S. Green Building Council to recognize environmentally responsible practices in construction and renovation. 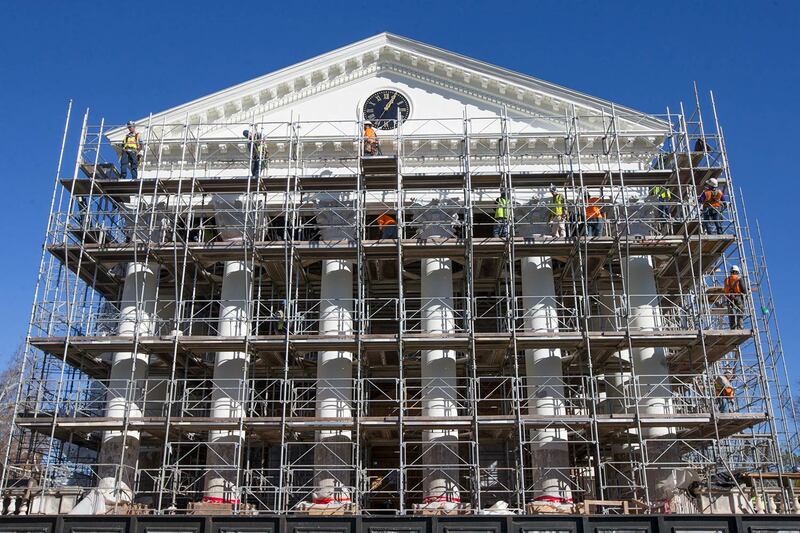 The extensive Rotunda renovation, which took from 2012 to 2016, included replacing the domed roof and the exterior column capitals, installing all new interior systems and refurbishing the Dome Room. Three new classrooms and additional study space were developed to encourage students to spend more time in the iconic core of the University. The University received the certification for the way it executed the project. When dealing with a landmark such as the Rotunda, the challenge comes from meeting modern environmental standards while maintaining the historical integrity of the structure, he said. Among recently renovated buildings, Garrett and New Cabell halls received LEED gold certification, O’Neill Hall earned silver, and Pavilion IX and Pavilion X were both designated as certified. Andrea Trimble, sustainability director at Facilities Management, said that UVA has shown it can work on preserving the historic fabric of its buildings and still meet high sustainability standards.